I was never very good at sports. PE was complete and utter torture for me. Last kid picked on teams? No, not me, I was always second to last because at least I wasn’t drooling on myself. My own mother referred to me as “athletically challenged.” When it comes to sports, I stick to my strengths, hellloooo channel surfing! Last week I met up with Chris, who is the opposite of athletically challenged. He does baseball, soccer, you name it. 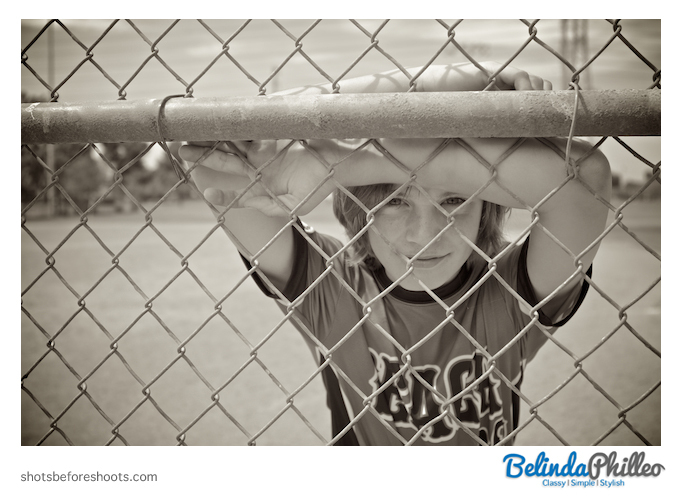 We went to a local ball field to get some portraits of him looking like a rock star in his baseball uniform.